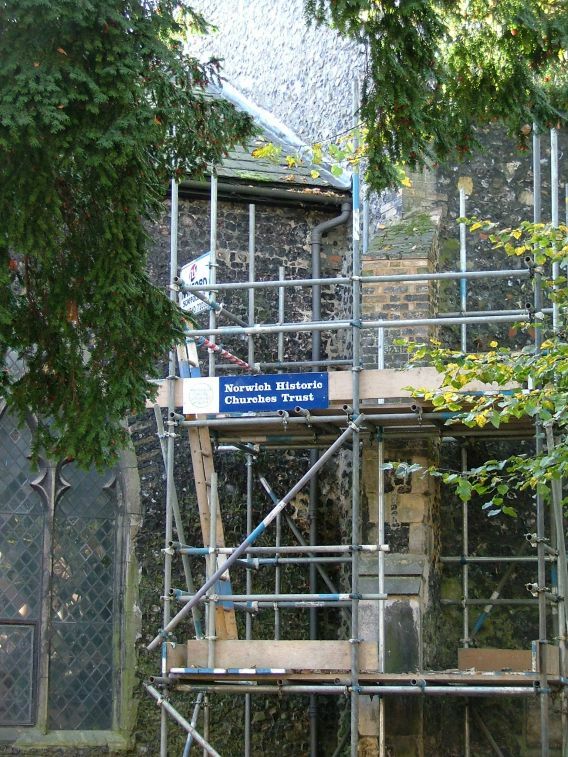 This poor, battered little church has played an important part in modern Norwich history, because it was its projected demolition in the 1920s that galvanised the Norwich Society into action. 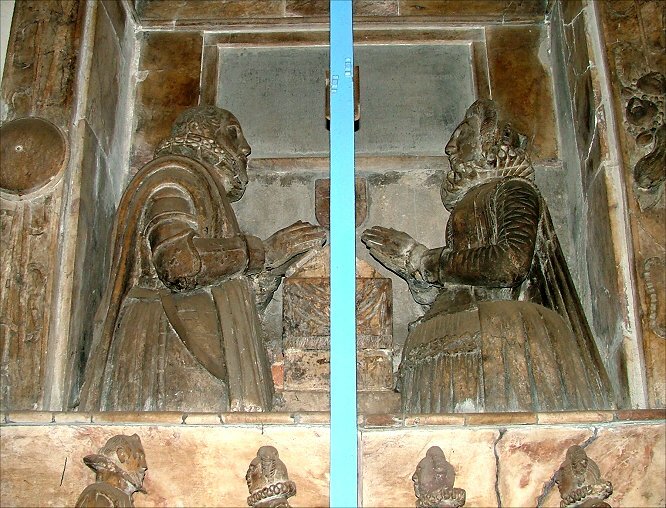 After a fierce battle against the City Council, they saved St Simon and St Jude along with the rest of Elm Hill. After the war, their reputation made them a powerful voice against the lunatic policies of Norwich planning officer Herbert Rowley and his attempts to turn the centre of the city into some kind of soviet-inspired industrial zone. 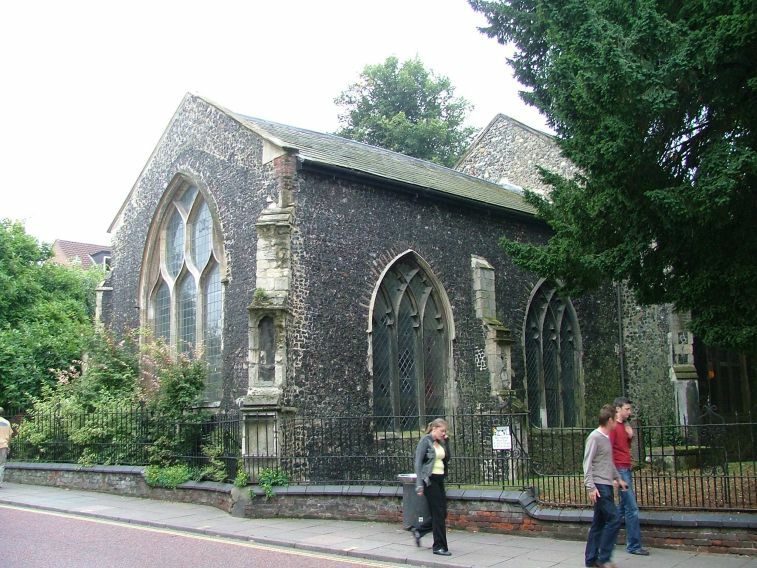 St Simon and St Jude had been declared redundant in the 1890s; small wonder, as it is within 200 metres of five other churches, not to mention the Cathedral just across the road. 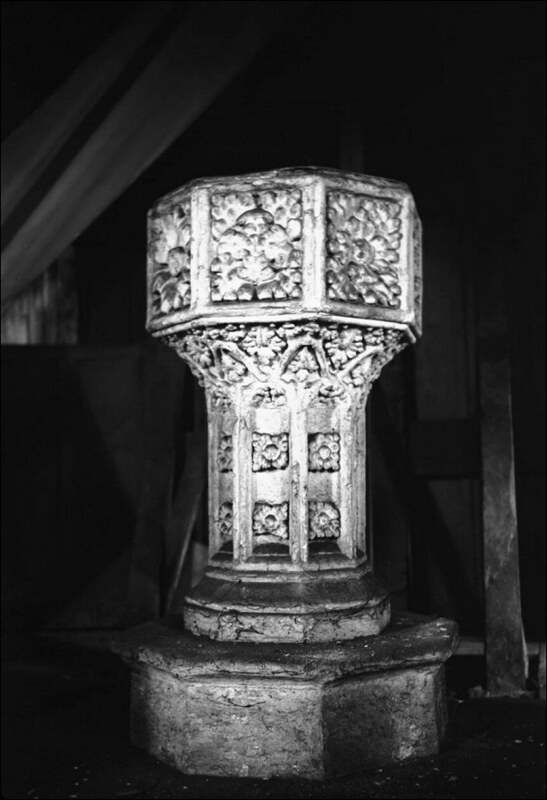 It was neglected, and in 1911 the tower collapsed. 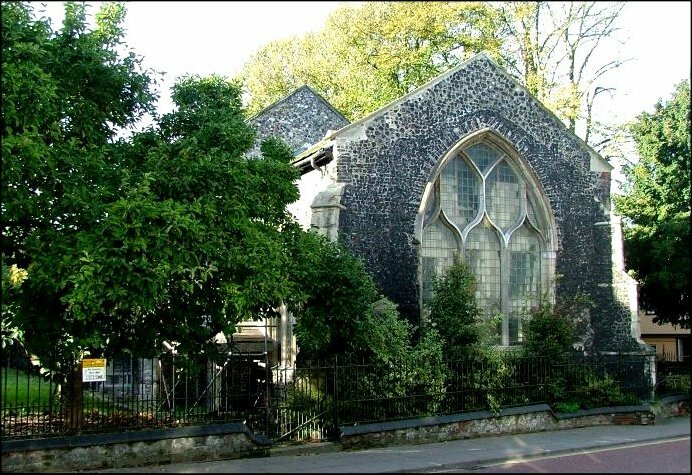 Shortly afterwards, the building seems to have been pressed into use as a Sunday school by the neighbouring churches; but by the 1930s it had been abandoned, and was an ivy covered-ruin, rapidly returning to earth. On the afternoon of Wednesday, March 16th 1938, the young George Plunkett photographed the ivy-covered mound from Fye Bridge Street. 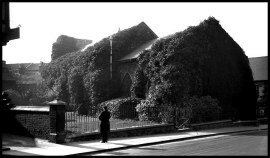 A lone policeman stands, gazing at the disappearing church. 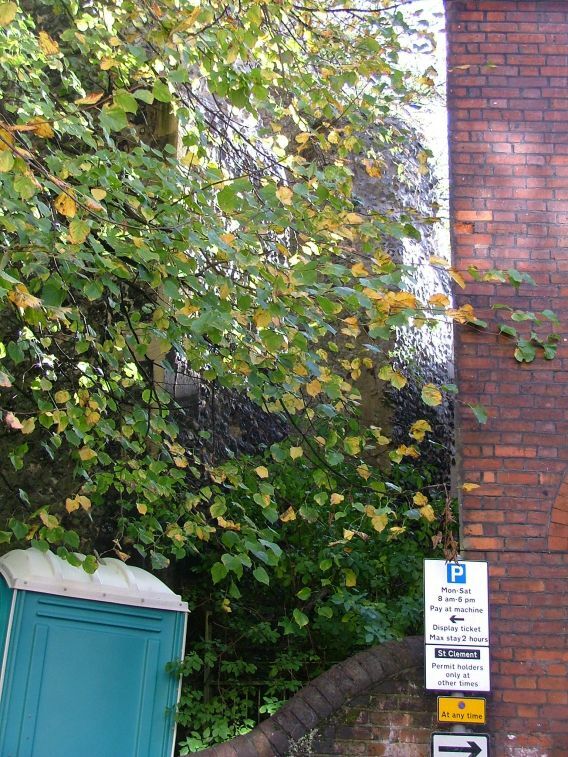 You can just make out the west face of the tower stump, gone today. George managed to get inside as well, and took the extraordinary photographs below. 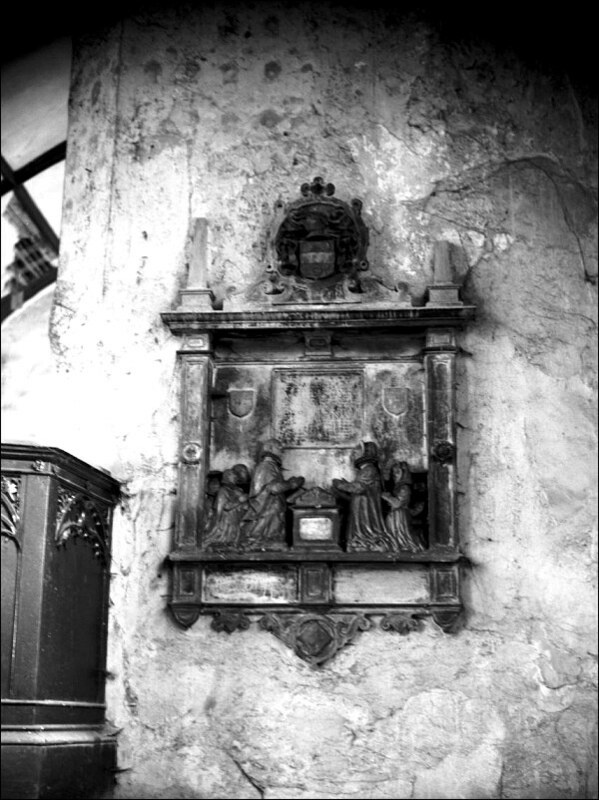 They show an abandoned interior, but still with its stove and stove pipe in the middle of the nave, the Pettus memorials either side of the chancel arch covered in cobwebs. It had not been used for a generation - perhaps not even entered. 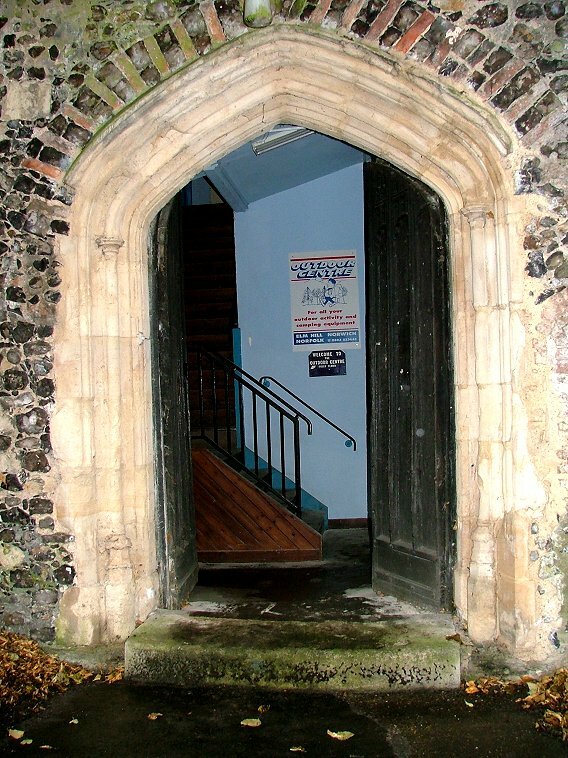 It was the actions of the Norwich Society that prompted a more significant use, and in 1952 it became the central headquarters of the Norwich Scouts and Guides movement. 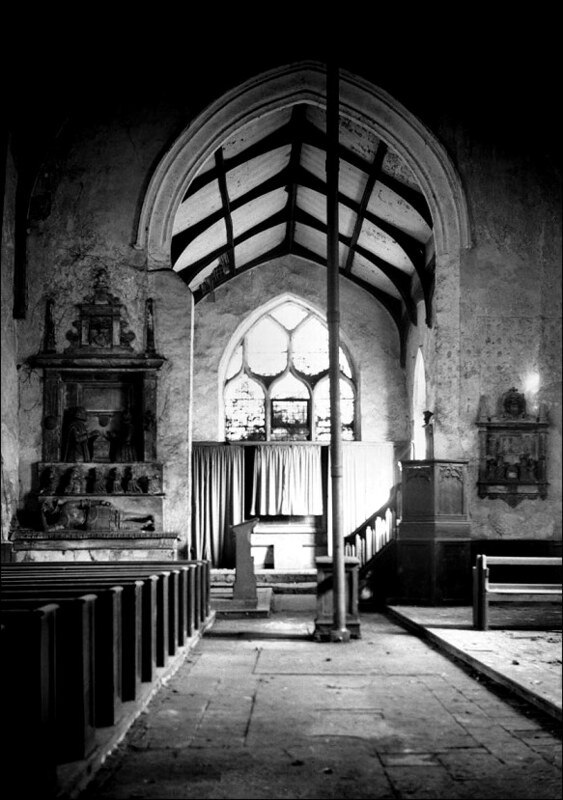 A brutal modernisation carved up the interior in the most unsympathetic way, with a floor supported by metal girders to separate the upper nave from the lower, and the chancel arch filled in. 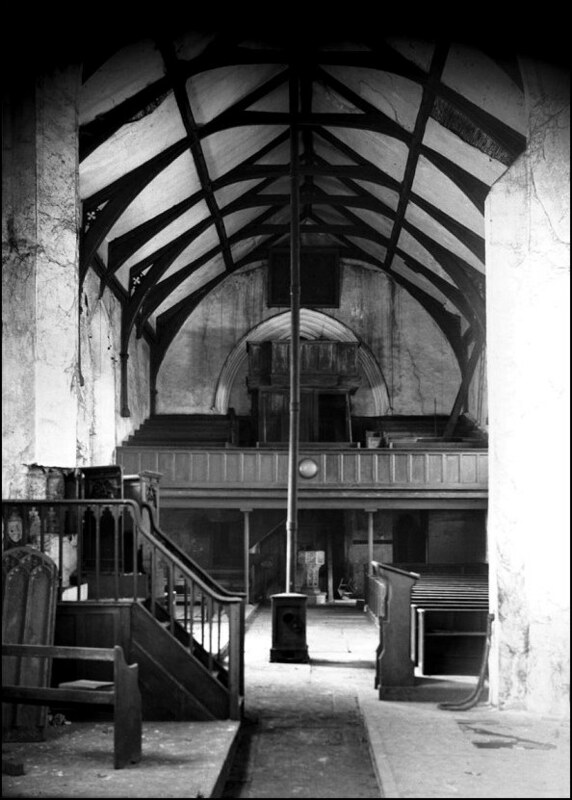 Beyond it, offices and toilets on two stories filled the former chancel, with a major access staircase at the west end. 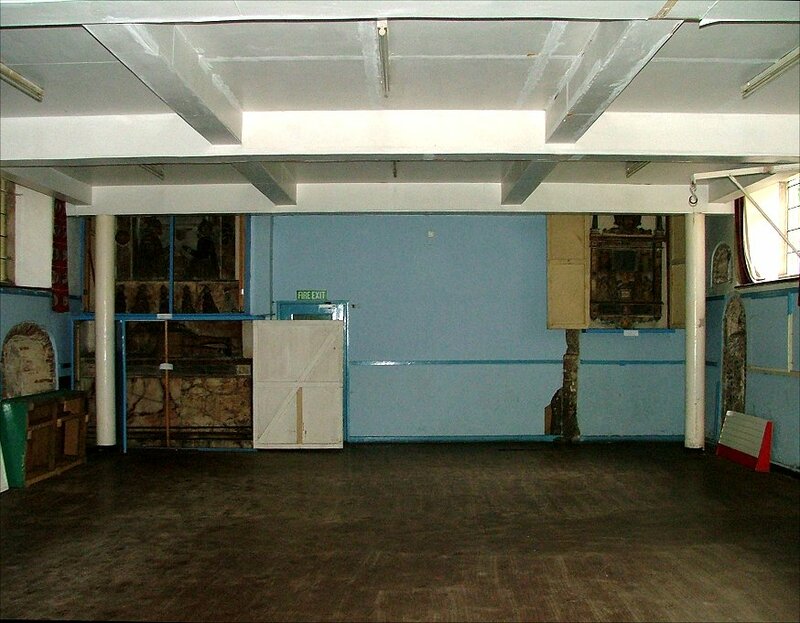 The lower floor became the headquarters and hall of the scouts and guides, while the upper floor became a scout shop, the Outdoor Centre. 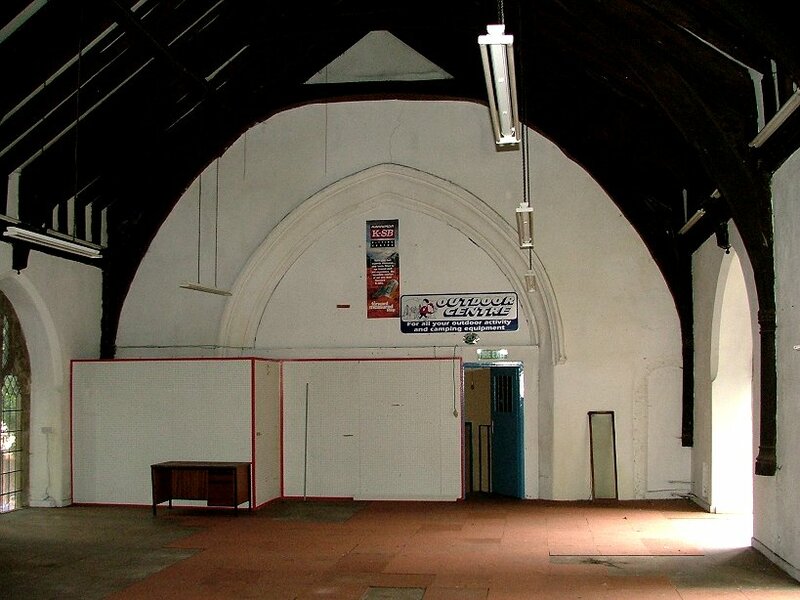 These have all now closed, and the scouts and guides have gone. If you had not seen it from the outside, you would not know that you had entered a church. The space you enter is the lower half of the nave, a low roof and girders above you and the chancel arch beyond blocked up. 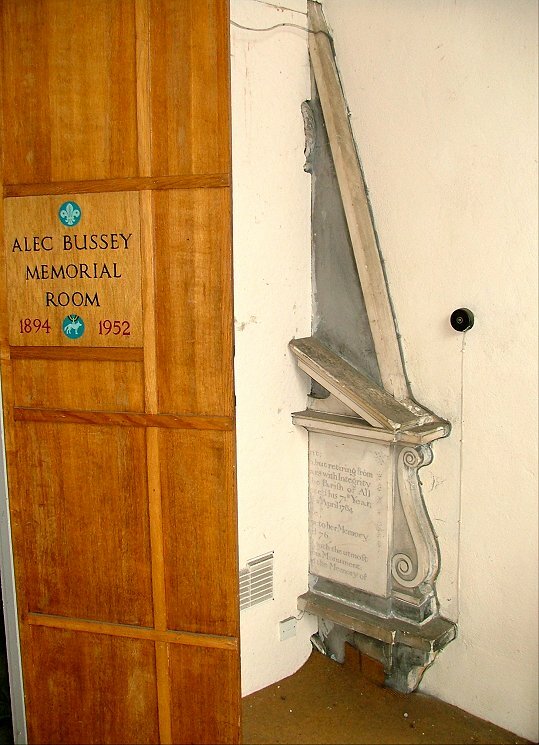 However, its former space is flanked by the two remarkable memorials. 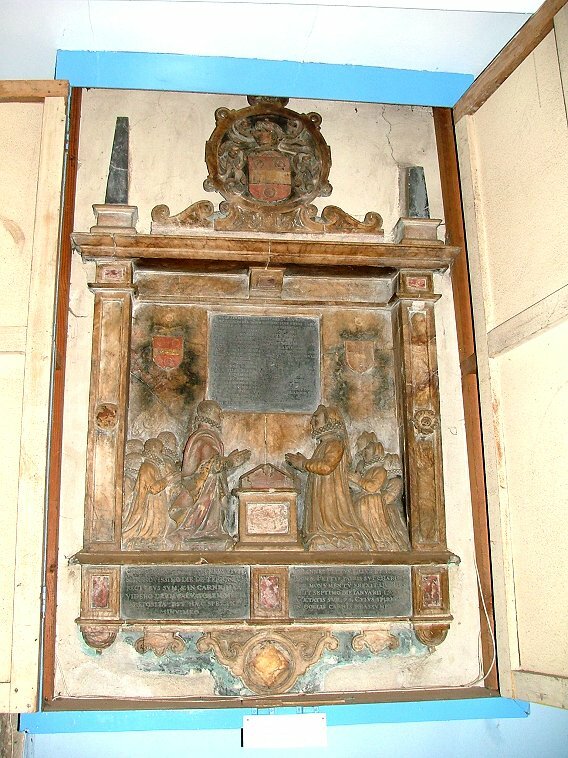 On the south side is Thomas Pettus, mayor of Norwich in 1590. He kneels in his mayoral robes, facing his wife across a prayer desk, their children behind them on either side. 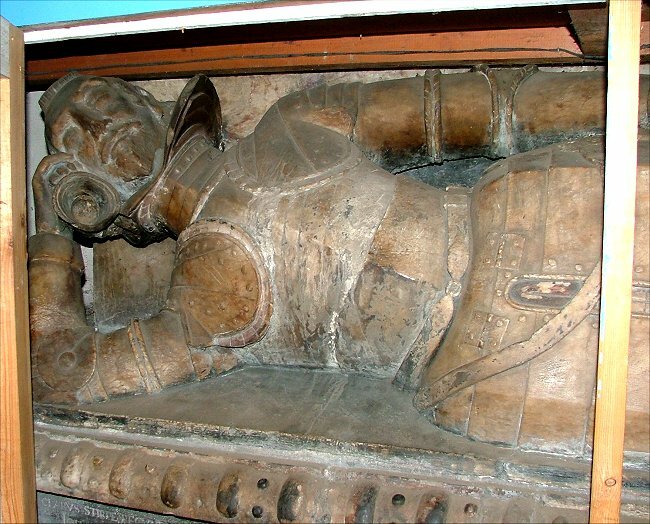 To the north of the arch is the recumbent figure of Sir John Pettus, his son, mayor in 1608. 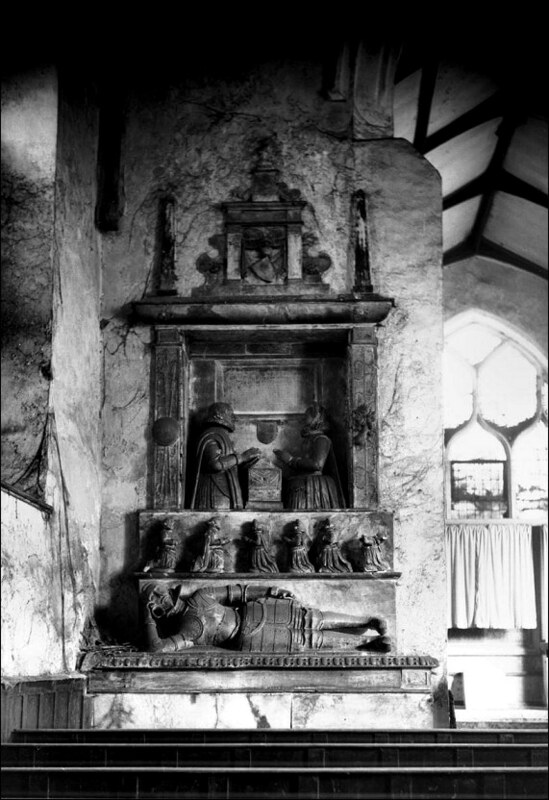 He looks really uncomfortable, not least because he has his children pressing down on him, among them in the recessed arch above Sir Augustine, his son, with wife Abigail. They are all the more extraordinary for being boxed in and seen in such a setting. 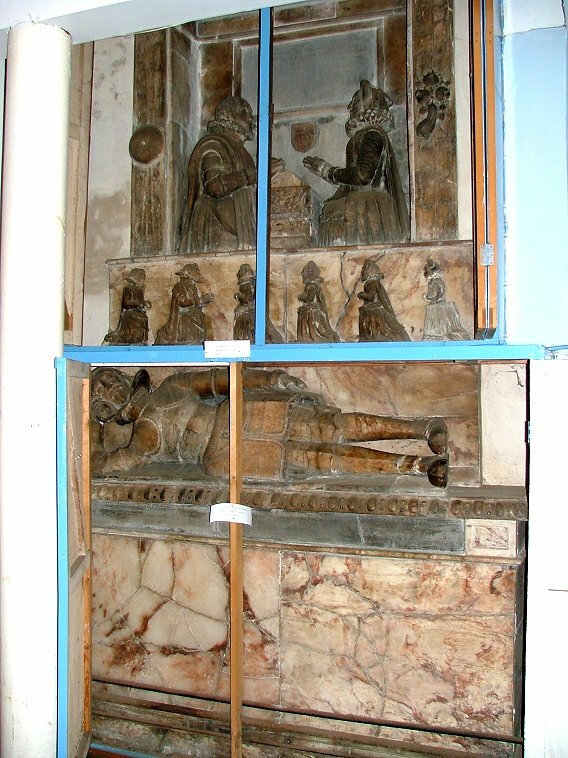 To the north of them is an older tomb recess, now filled in. St Simon and St Jude gets odder once you go out of the west doorway and up to the first floor. 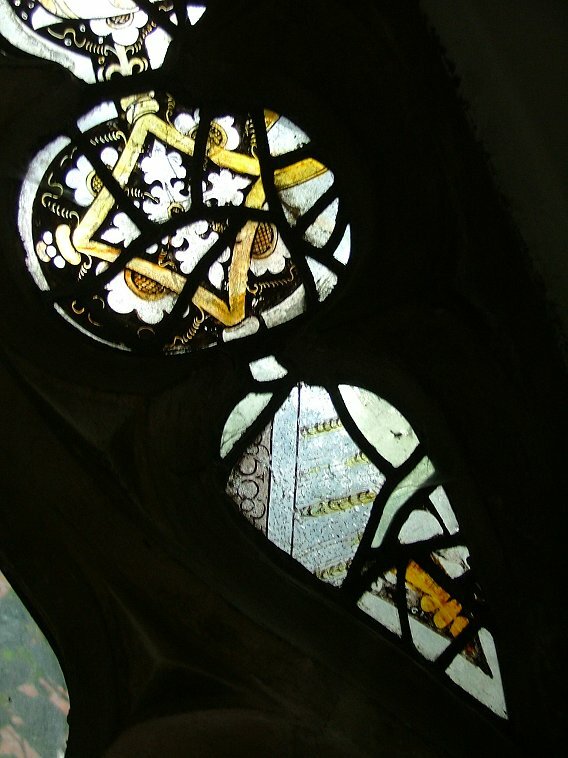 This is completely empty, but you are able to look out of the top lights of large 15th century windows, with fragments of medieval glass in them, including a composite of passion flowers and barleycorns of the Norwich school. 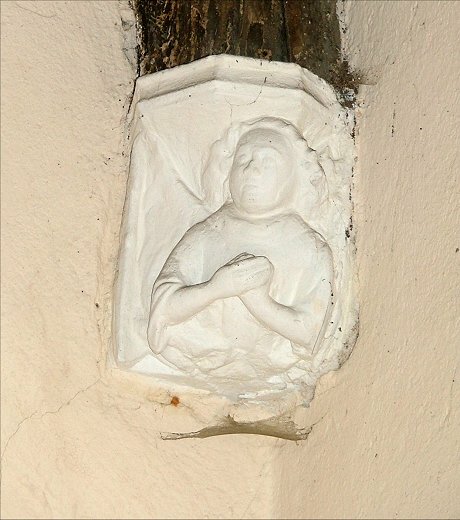 A doorway at the east end takes you through the top of the chancel arch, and once you are in the top of the chancel, the partitions intersect and cut through memorials and other features that once towered into this roof space - half a 19th century memorial here, a corner of an 18th century one there, and roof corbels of angels and saints who look on patiently while you reach out and touch them. 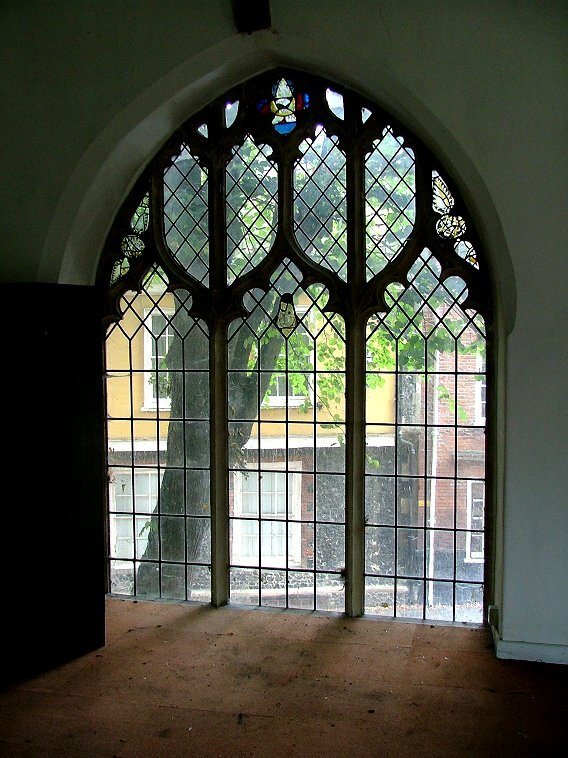 It is surreal, and the great 14th century window at the east end only adds to this. That St Simon and St Jude survived thus far is a miracle. Empty again, the building is undergoing a major restoration. 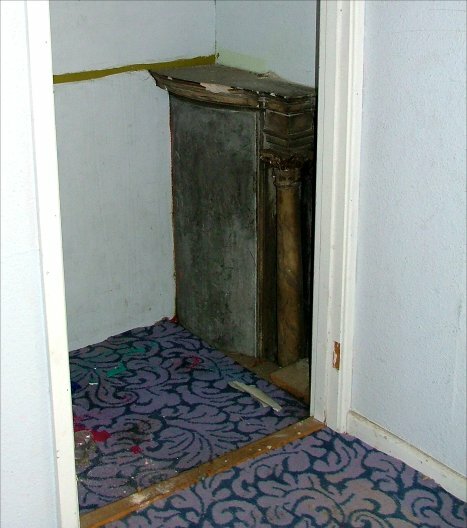 And now there is a chance for a new use that will rip out the rubbish and restore it to something like its former glory.